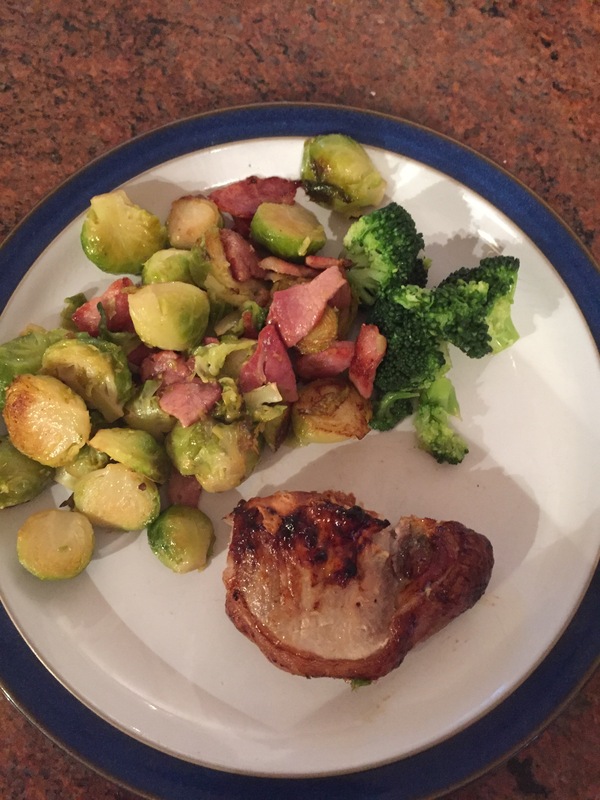 Bantinginireland – Page 5 – Find out how you can eat fat and lose weight. What’s the buzz with sugar. October 11 2015. The reason that this eating plan resonated so loudly with me is because I completely got the nature of addiction that the realmealrevolution.com website talks about. When I ate too much I was never satisfied. I always wanted more and I never felt full. I could eat a packet of biscuits and still feel as if there was a hole in my belly. I could have a 200gm bag of crisps and it felt like a drop in the ocean of my hunger. So I was interested to see if I could actually go cold turkey and just like that give up sugar overnight. That is a lot harder than you think. Not because I craved sugar but because it is in everything – and I mean everything – from bread, to pasta sauces, to crisps, to tomato ketchup to breakfast cereals. There is so much of that glorious white powder hidden in all our food that to get rid of it takes a mammoth effort. 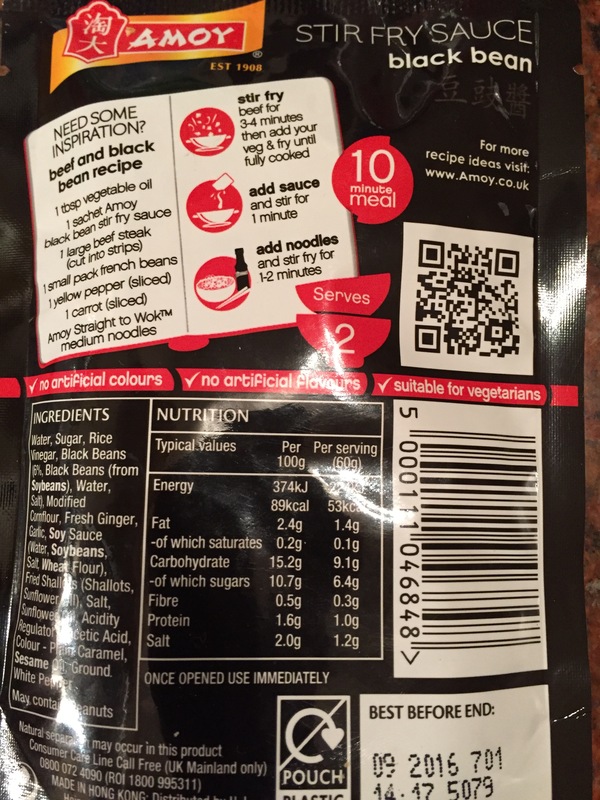 Have a look at a few labels – frightening! In fact there is – sugar hides under many names – and dextrose is just one. A few others are sucrose, maltodextrin, lactose, corn syrup, barley malt, mannitol, to name just a few. My suggestion? For the first week or two avoid processed foods altogether. By eating only non processed food I managed to cut it out and have been sugar free now for 50 days. That is not to say that I have had no sugar. I have had no hidden sugar – and very little natural sugar to boot. I have had berries and the occasional glass – okay or two or three – of red wine but that is it. No cravings. I had a slight headache on and off for three days at the start but none since. 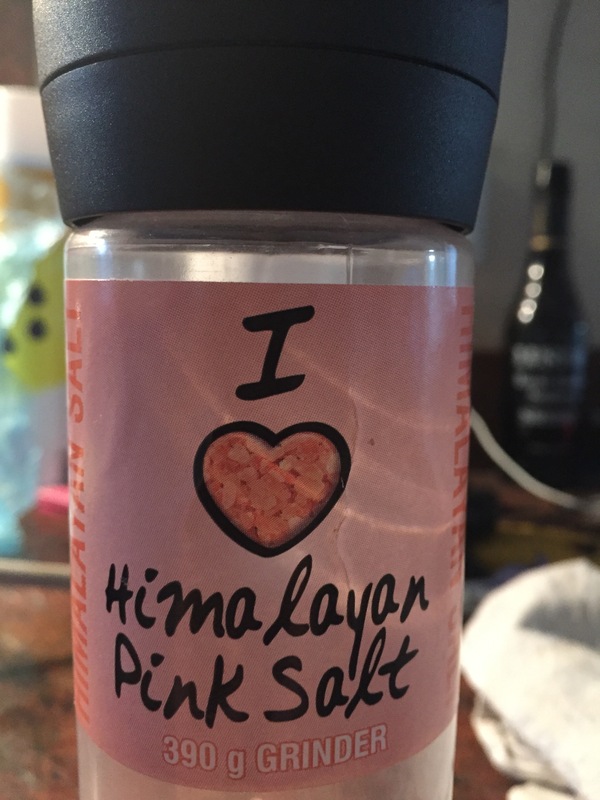 If you feel the urge hit you take something salty – and you do need your Himalayan salt – it has over 80 minerals and so many health benefits you’d need to google it yourself if you don’t believe me. It is salt in its purest form – see – no processed salt here! Anyway – back to the sugar business. I had two nights out in my first banting week – and visitors from Australia – that was a challenge – but I found it remarkably easy. In two separate restaurants I went for the buttered prawns and crab claws as a starter – a choice I’d normally avoid because of the high fat content. I had steak – although it was too big for me to finish so the dog had a great dinner that night! I had that with butttery mushrooms. I also had a couple of glasses of red wine. A wonderful evening with great food and no guilt. On the second evening I had chicken stuffed with mozarella and wrapped in pancetta – fabulous! It was served with buttered greens. I discovered by asking if the menu items were gluten free we were able to make good choices. My husband even had pepper sauce – creamy and delicious! Dessert was not an issue either night out – we could have had a cheese board but we were too full. For our visitors I thought I’d better make some dessert however – in my pre-banting life I was a very good baker – I am known for it – so I had to provide dessert. I came up with this little number. It is gorgeous. It has replaced my berry crumble – I think it’s even nicer than crumble – and is remarkably simple to make. Dehydrated raspberries if you can get them – mine come from Trader Joe’s in America thanks to a kind sister! You can get them in Sainsburys though in the North or get them shipped from Amazon.co.uk. They are not an essential ingredient however so don’t stress! Cook the berries until they have simmered for five minutes then take them off the heat.Allow them to cool – or serve hot whichever you prefer. Put a small amount into a glass – about three or four dessert spoons only – leave the juice out – I just used a slotted spoon to lift them. Bash your chosen nuts in a pestle and mortar if you’re fancy – if not – use either a food processor or put them in a bag and hit them with a rolling pin! I added some grated nutmeg but it’s not essential. Then pour some of the mix over the berries. 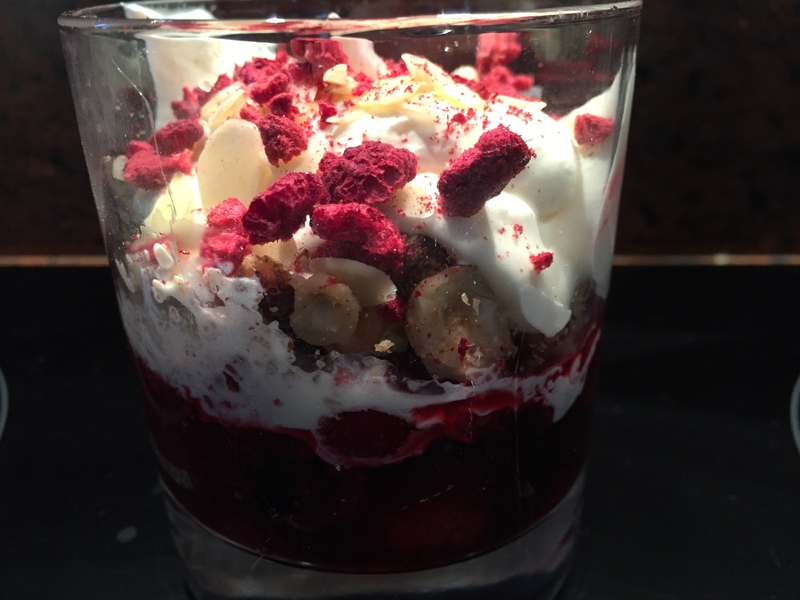 Top with whipped cream, some dessicated coconut, flaked almonds and dried raspberries if you have them. I sometimes grate a little 85% dark chocolate over the whole thing as well – but I’m not bothered. If you are feeling really decadent you could whip the cream with some mascarpone cheese and make it almost like a deconstructed cheesecake. You have to try it to believe it. This dessert is right at home beside apple tart, cheesecake or any other rich and creamy dessert – but it won’t feed your sugar habit and you can have this knowing that it won’t make you lose control. At a family gathering recently it was dessert of choice for several of the party – and they were none the wiser that it was a banting safe option. Next time I’ll suggest a few easy lunches on the go – and show you how this food plan can be adapted for the skinnies in your house too – it’s not just a weight loss plan remember! There’s a lot on the naughty list – does a nice one even exist? October 9 2015. 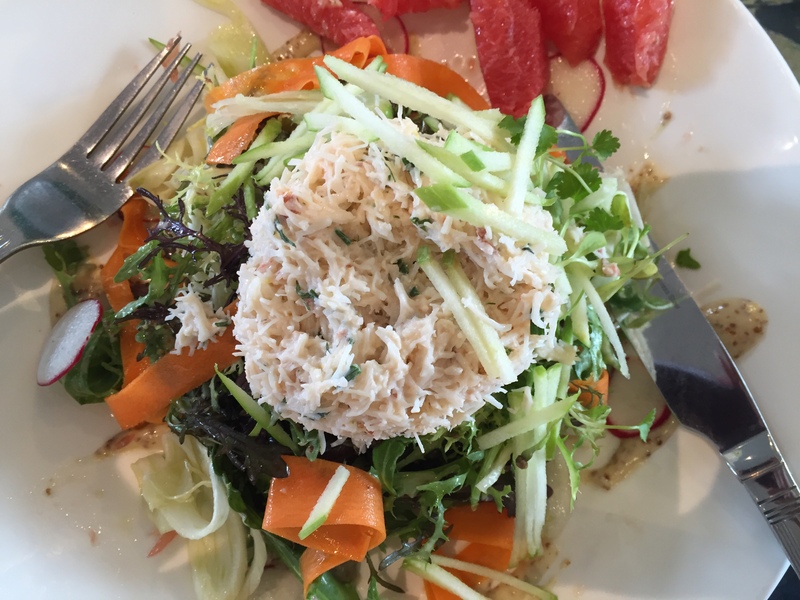 I said I would share the green list of foods with you – last time I told you all the bad foods so this evening – as it’s Friday and that’s worth celebrating in itself, here is the list of good foods of which you can eat an abundance. Like I said before, it is quite difficult to overdo it at first because the foods are often so rich and creamy that the taste alone fills you up. Prof Noakes on the website says at first to just follow the eating plan and don’t worry about quantity. It tends to take care of itself. Fats – animal especially, and either coconut or extra virgin olive oil. Plenty of butter – real Irish butter, from grass fed cows – the Realmealrevolution.com are big into grass fed – Ireland is a perfect banting zone – apart from our historic attachment to the potato obviously. Meat and eggs – It’s okay at the start to eat a lot of meat if you like – just to fill your plate if you feel the distinct lack of carb there – but this is not the Atkins Diet – have enough but not too much – and most meals should include at least some protein. Best ones I find are fish, smoked or plain, and eggs – glorious eggs. For the first two weeks I ate scrambled eggs every morning – made in the frying pan for expediency – half an ounce – or an ounce if I felt like it – of butter, two eggs thrown in when the butter was almost melted. Left them for a minute then smashed them with a wooden spatula and liberally salted and peppered them. To die for. You can of course have steak – sirloin is good as its fat content is higher than fillet. Take lots of bacon, streaky or back, but try to avoid the smoked ones with sugar in – it’s very hard to find dry cured but they are the best. A good butcher will tell you if they are dry cured or not. Pork and chicken are good too – eat the skin of the chicken, or the wings or legs! We have used the barbecue almost every evening since we started – rain or shine – to cook our meat – divine! If you can get gluten free sausages buy them in bulk and freeze them. 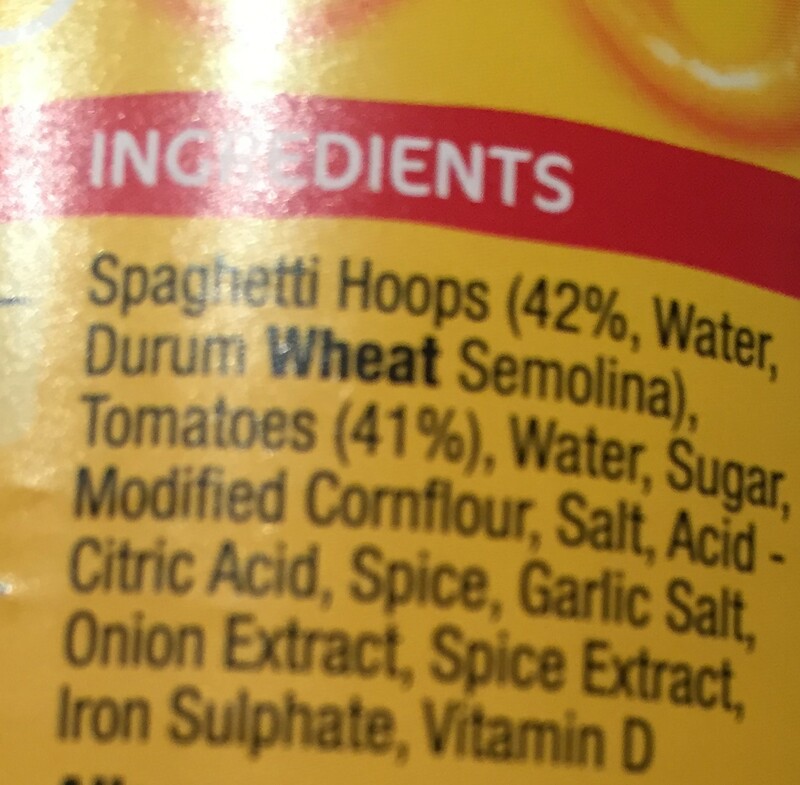 Did you know practically all sausages contain wheat derivatives? 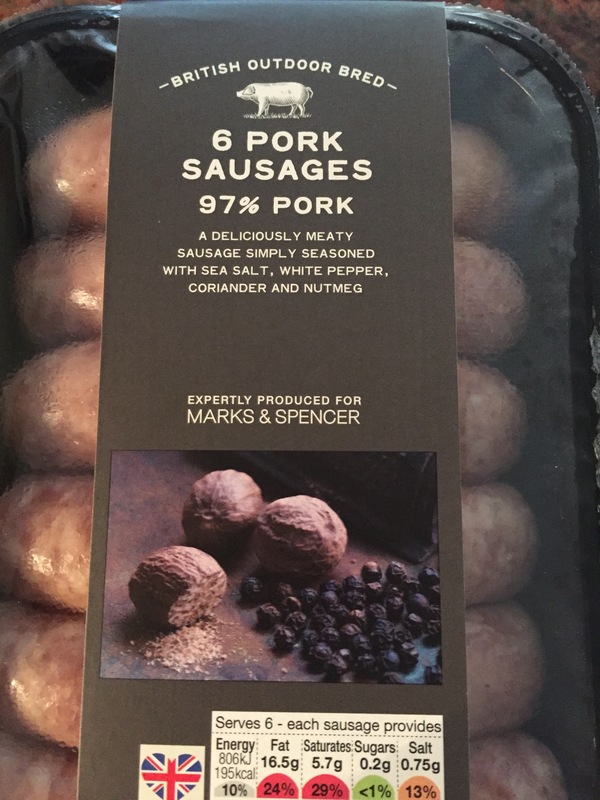 Not these babies however – a great find in M&S the other day – and gorgeous with fried eggs or streaky rashers. Vegetables – the plan will tell you to bulk up with veg – really there is little need to bulk up on anything but feel free to eat all veg that grows on the surface of the ground – apart from butternut squash. That sounds difficult. It isn’t. Basically we eat lots of broccoli, spinach, cauliflower, courgette, mushrooms (in butter) and peppers – although because they are sweet they are a bit higher in carbs. Also on the list are things like aubergine, tomatoes, asparagus. I have a fabulous vegetarian recipe for an aubergine and courgette gateau with mozarella and tomato sauce – I’ll share it again – but I realised it is a perfect banting dish. Onions are there too but again when you cook them for a while they caramelise – a sign that there’s sugar there so we don’t really eat them so much. My husband’s favourite soup is tomato – now he has it whenever he likes – easy as pie – passata and cream mixed together and heated up with one spoon of Xylitol and a little garlic and salt and pepper to taste. Dairy – if you’re female – be aware – for some reason known only to the Maker Himself women don’t do so well when we eat lots of dairy. Men seem to do just fine. I don’t mean eat none – eat lots of butter, and full fat cream – divine in coffee – what’s not to love on this plan I ask you! I find Philadelphia Cream Cheese is also good and doesn’t mess with the plan. I have discovered that if I eat crackers and cheese every lunchtime however my body likes to hold on to the weight more hungrily than when I eat avocado say, or fish. I still eat cheese and I often have yoghurt – full fat Greek is the only one – and that seems to be okay. I buy my Greek yoghurt in Lidl – it’s very good. Nuts and Seeds – I love macadamias. I only really realised this following this plan – and I found out yesterday that they are more readily available than I thought. Thanks Sinead for the share – I know where I’m going in the morning. Other good nuts are pecans, hazelnuts, almonds and walnuts. I made granola the first week then thought – too much trouble – now I bash a few hazelnuts, pecans and walnuts in the mortar and pestle – throw in a little nutmeg and cinnamon and that is just as lovely. 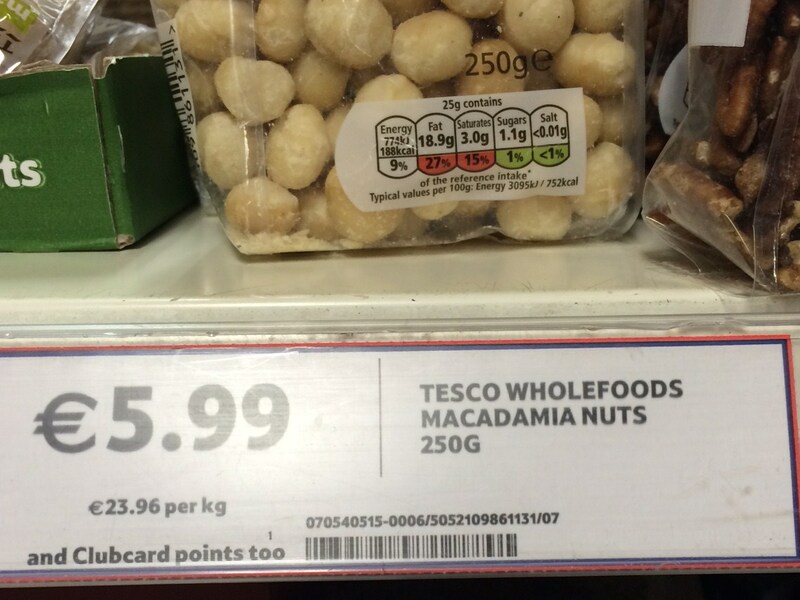 I get mine in Lidl mostly although Supervalu has great value in hazelnuts – when they are in stock. Pine nuts are great too – lovely in a salad. Another banting friendly recipe springs to mind – and one I’ll share again – the broccoli and feta salad in Avoca, with toasted hazelnuts. Yum! Don’t fall for the peanuts, cashews or pistachios – lovely as they are, they are not as good for you as the others, as their carb count is very high compared to almost zero with the ones above. I have linseed – or flaxseed, sunflower seeds, poppy seeds, pumpkin seeds and sesame seeds in good supply in the house. The girls love to add the poppy seeds to their yoghurt now – and a teaspoon meets your iron needs for the day – who knew such a tiny baby packed such a healthy punch! You may wonder where the fruit is – it isn’t. Well at least there’s not too much of it. Basically I am following this plan because I have a taste for sugar so it is only natural that I am avoiding sugary foods as much as possible. And fruit falls into that category, except for berries – blackberries, raspberries, blueberries… I have some kind friends who gave me some fresh berries in September which I froze – otherwise I just use the frozen mix – but I boil them first as a precaution then store them in the fridge for a couple of days. That’s it. There’s quite a lot of food there – and all of it delicious. Next time, I’ll tell you about sugar and a dessert you might even choose over a more sugary alternative! What’s the story anyway? October 7 2015. Dinner tonight in our house. 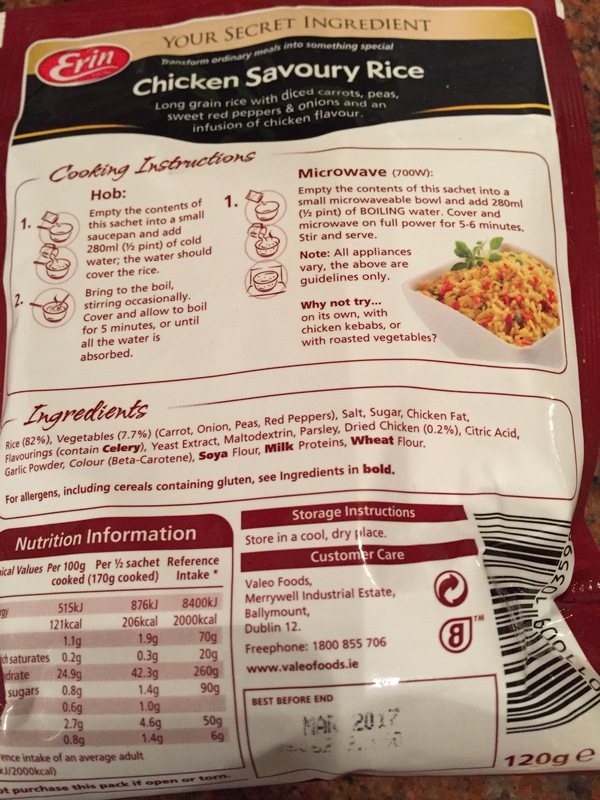 Having watched Donal’s film I sat at the computer and googled Real Meal Revolution to see what he was talking about. What I found was a free week of classes on what is called the beginner banting course. Just as well it was in holiday time as I spent the best part of three days devouring the free week information. I signed up for the five week course almost immediately. It cost me the princely sum of $49 – about €43 to get access to the whole site. Here’s the link if you want to have a look. Be warned – there’s a lot of information. Anyway if you don’t want to sign up for the free week or even read any of what is in there I will give you the gist of it. Basically you need to be eating about 70% of your calories from fat, 25% of your calories from protein and then 5% from carbs. That sounds complicated but isn’t. It sounds impossible but isn’t. It sounds sickening – isn’t that either! It is so satisfying that after day 1 I never looked back. So how do you do that without having to spend hours studying the videos and notes and recipes? You give up two things – carbs and sugar. You don’t eat potato, rice, pasta, bread or porridge – or any other carb loaded food. You also give up processsed sugar of every type both natural and artificial. The only sugar that should pass your lips should come from some berries on occasion and a sweetener or two in your cofee to start with in the mornings. Oh and the weekend wine – I’m never giving that up – in fact now it has become all the more enjoyable because I imagine it as such a luxury. I should have said give up three things! You give up the guilt. Stop punishing yourself every time you put food in your mouth. Stop agonising over calories. Stop dreading nights out because you are afraid you’ll binge and lose control and then give up on yourself all over again. 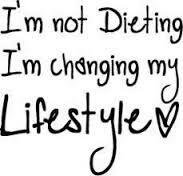 Now it all sounds a bit drastic and like just anonther fad diet – but it’s not. It is based in sound medical fact. In recent years there has been a glut of articles suddenly suggesting that in fact natural fats are better for you than low fat alternatives – people are moving back to butter and full fat yoghurts – why? Because the alternatives are so full of additives and chemicals that they cannot be better for you than a less processed alternative. The name itself – Banting actually refers to a real person – one William Banting who was a rather corpulant British undertaker to the Royal Family in the 1800s in London. He went to a physician who took him off all sugar, saccharine – who knew it existed in the 1870s – bread and potatoes. He ate four meals a day and thrived. He was so excited by the results of his new eating plan that he published a pamphlet at his own expense expounding the virtues of the regime – hmm – sounds familiar – I’m not the first zealot then! The first week was tough – not because I was hungry but because I didn’t really know what to eat. On the website they give you a few helpful recipes to start – cauliflower mash was the first – sounds gross – was quite lovely the first few days and we haven’t had it since – basically a head of cauliflower steamed and then pureed to a mash like consistency with about 3 ozs of butter in it. Yum! It was a good one to start with because it looked like mash and tasted a lot like it too – the psychology of that was important. The other recipe was for a pureed combination of spinach and broccoli – with cream and butter – I added to taste – again lovely, but we did wonder would we ever eat real food again. I lost 8.5 pounds that first week. I’ve been down the depleted glycogen stores road before so I knew that a lot of that was stored water, but in five years I hadn’t managed to lose that much weight in a week of trying. The psychological boost was enormous. Coupled with the decision my husband made after only two days, that he was going to join me, made it easy to try for just one more week. The most amazing part was that I was never hungry. Not once. I ate as much as I wanted whenever I wanted. I lost all taste for sugar after that first day. I felt full and if I didn’t I ate some more. Here’s a sample day from that first week……. 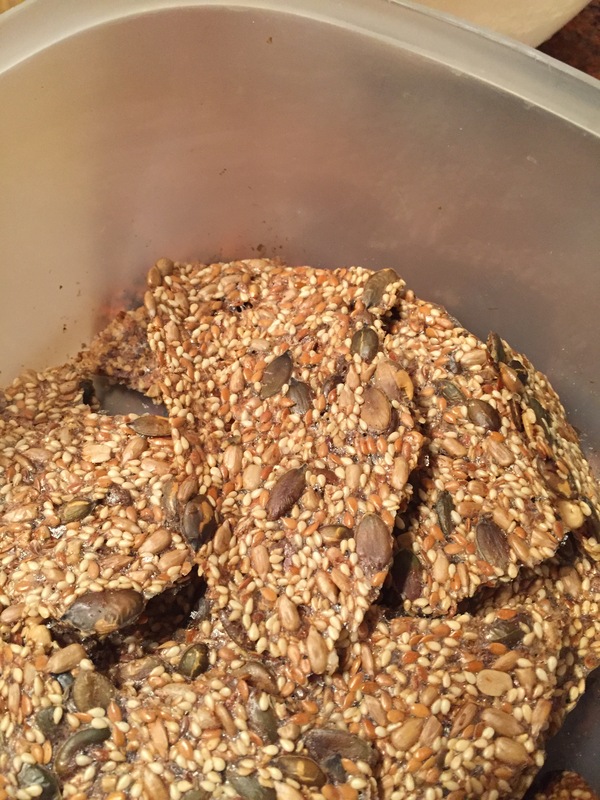 Tea: Seed crackers (recipe below), Philadelphia Cream Cheese and a creamy coffee – with 2 fl ozs of cream in. No hunger. You’d be surprised how easy it is to lose the potato when you substitute with higher fat items. 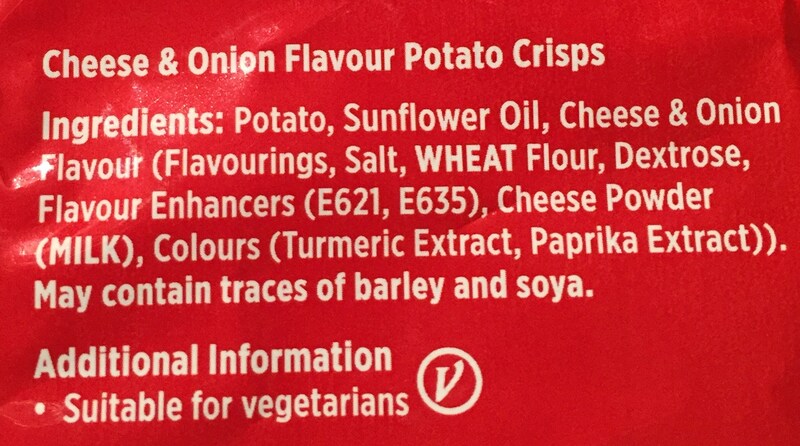 The other thing which is great is that none of it is processed – it’s not raw – I’m not an extremist for God’s sake – but it is all very natural and very healthy. I bought nuts and ate those. There’s a fabulous Irish site called Nutsinbulk.ie where they sell macadamias which are the best nut of all to eat. I also drank plenty of water. They recommend you drink only two cups of coffee or four cups of tea a day – I tried to give up tea last year – after four days my family begged me to go back on it – this time – no problem. I take either one or two cups of coffee a day, no more. So. There’s an awful lot of information there. It was a hard first week as I say but as the weeks went by I realised that we don’t have to eat baby mush every night and load our veg with butter – really, David I don’t – to follow this lifestyle. We just eat healthy natural food. In the next post I’ll share the list of green foods – those you can eat when you are hungry – obviously if you eat 4000 calories a day you won’t lose weight – but you know what – you won’t be able to eat 4000 calories when you are eating such nutrient dense food. 3 tblsp psyllium husk – available in Health food shops! Mix all the seeds and the psyllium husk in together and then pour on the water. Add lots of Himalayan Pink Salt and some pepper if you like. 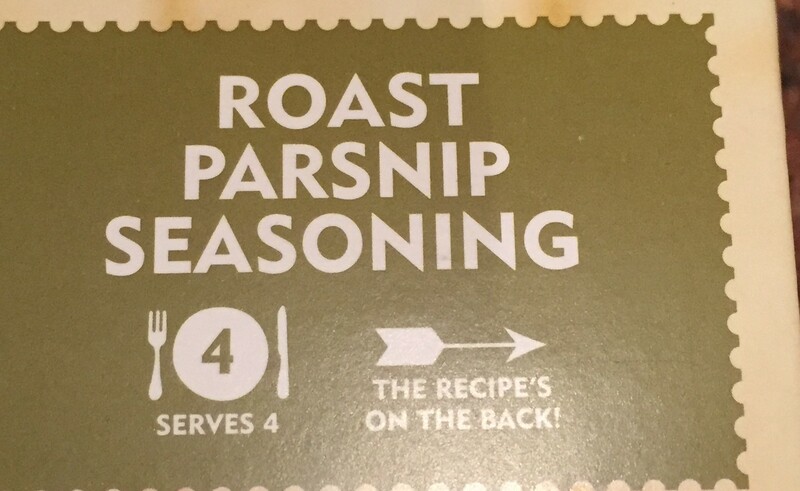 Leave to – congeal is the only word to describe it really and then spread it out very thinkly onto two silicon mats or greaseproof paper – it will never come off the bare oventray. Bake at 150 celcius fan oven for about an hour – keep an eye – picture below shows how they should look. They are perfect with cheese and absolutely gorgeous with lots of good Irish butter! Banting Irish Style. October 6 2015. So. On August 21st of this year I started out on a journey that I’d like to share with you. All of my life I have been overweight. This summer came a moment when I finally contemplated whether it was in fact time to consider surgery. I hear people say – “she’s just too lazy to try” or “just walk away from the junk”, “don’t have it in the house”, “go to bed hungry”. For someone with a food addiction it’s not that simple. I never ate because I was hungry. I didn’t eat because I was unhappy. I wasn’t and am not in a bad relationship. I love my job. I just wasn’t in control of my eating. It’s very hard when you come from a family of people who all manage their weight and who have never had the same issue as you. A BMI of 43 is not a good place to be. If your BMI teeters from 28-33 your issue is not the same as mine. I have tried twice as an adult to lose the weight and twice regained all of it and then some. I have done Scarsdale, the Mayo Clinic, the three day Irish Heart Foundation, the Weight Watchers plan, the Slimming World plan. I even did the dreaded Lipotrim shakes. None of them worked. None of them was fun. None satisfied my constant craving for – I couldn’t name what I craved, but it was not fed. I felt deprived all the time and I always saw these plans as something to do until I got the weight down so I could go back to my real life. When I did the shakes I felt high – I was in ketosis after all which gives you a kick, but the problem was I couldn’t eat anything – three shakes a day and 600 calories. The weight fell off but as soon as I ate normal food again I piled the weight on. My sister – a paediatric endocrinologist told me that my body responded to starvation by hoarding every calorie I put into it once I increased my intake for fear I would starve it again. Oops! 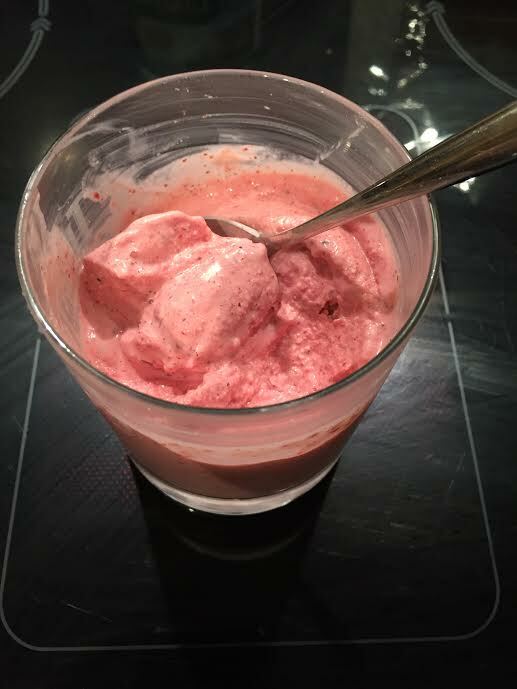 I found myself eating far more on the Weight Watchers and Slimming World plans than I normally ate because it was all no fat or low fat and so sure I had to make sure I ate enough. I still binged and craved but never felt that I had enough. So as I say this August I decided I would go the surgery route. The scary thing was my sister – said doctor – did not argue with me – she actually agreed. That set me thinking. Three years ago I saw a sponsored ad on Facebook for a film called Cereal Killers. I had looked and wondered but never seen it. I decided I might as well have a quick look before ringing a surgeon to enquire about the gastric band or bypass. To say I was blown away by the notion of disregarding everything I’d ever been told about losing weight was a revelation to me. I couldn’t believe what Donal O Neill was suggesting – eating loads of fat could help you to lose loads of weight. No way – not a hope. But I was intrigued enough to google Dr Tim Noakes and that is where my story begins……….